A Vietnamese refugee granted clemency by the California governor wants to fight for his brethren at risk of deportation. "I hope I will get all previous criminal records removed and be issued a green card to continue living in the U.S.," said Tung Thanh Nguyen, one of the three Vietnamese Americans who were facing federal removal orders, but received pardons from California governor Jerry Brown on November 21. Tung arrived in the U.S. as a refugee when he was just 13. Three years later, he was convicted of murder and robbery after engaging in a hotel fight that ended in the death of another man. He was sentenced to 25 years in jail though he was a minor. While serving his sentence for the 18th year, he risked his life to save 50 people in a prison riot that earned him an early release in 2011 under the Governor Brown’s clemency policy, the Los Angeles Times reported. At that time, Tung thought he would have the opportunity to start a new life. However, he received a deportation order from the U.S. government in October 2011 because he has not yet a naturalized U.S. citizen. He was held in custody for a month awaiting deportation but was released later as per a 2008 bilateral agreement between Vietnam and the United States which states that "Vietnamese citizens are not subject to return to Vietnam" if they "arrived in the United States before July 12, 1995." But he had never felt safe, and the fear of being deported from the U.S. remained. "This feeling of fear will follow me until my last breath," he said. 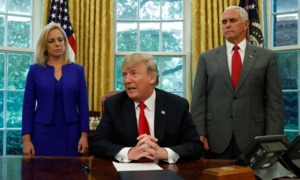 Earlier, in 2017, former citizens of Vietnam, Cambodia and several other countries were caught up in a hardline immigration policy adopted by the Trump administration. The administration sought to deport immigrants with criminal records who have green cards but never became naturalized U.S. citizens, even if they’d served their sentences. Since March last year, the Immigration and Customs Enforcement (ICE) has launched a crackdown to detain Vietnamese immigrants who had committed crimes and deport them back home. Data from the U.S. Census Bureau reveal nearly 1.3 million Vietnamese citizens have immigrated to the United States since the end of the Vietnam War and obtained green cards. Of them, 10,000 Vietnamese nationals are subject to deportation under the new regime. Most of these have criminal convictions or lost their green cards. The push by the Trump administration led to the resignation of Ted Osius, former U.S. Ambassador to Vietnam who’s opposed to the policy. 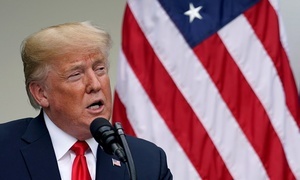 Osius, who left his post in October last year, told Reuters last April that most people targeted for deportation had arrived in the United States prior to 1995, the year diplomatic relations between Vietnam and the United States were resumed after the Vietnam War. Furthermore, a 2001 Supreme Court ruling had determined that the government cannot detain immigrants for more than 180 days if their deportation was not "reasonably foreseeable." Tung is focused on finding all ways to survive and fight against the deportation order. He said he and those convicted like him have paid for their mistakes by serving the sentences. They have also showed remorse and want to lead a normal life and become useful citizens. ICE has not considered the current situations of the targeted immigrants. In recent years, Tung has become an advocate for changes to the juvenile justice system and helped start an Orange County organization to help Asian and Pacific Islander inmates reenter society after prison. 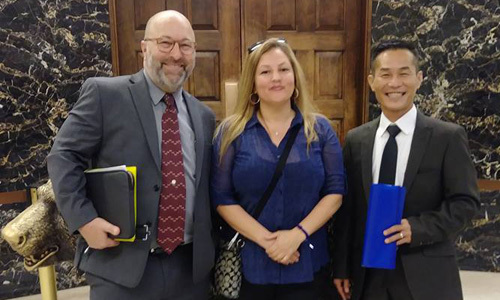 Earlier this year, Tung joined those who shared his same plight to file a class-action lawsuit with the California government to oppose detentions ordered by the Trump administration. 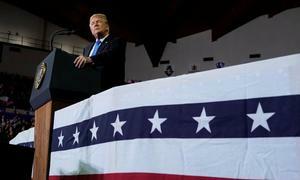 Following a California district court ruling on October 18, thousands of Vietnamese immigrants who came to the U.S. as legal residents before 1995 have been spared from the risk of deportation, the New York Times reported last month, citing an unnamed official in the Department of Homeland Security. But Tung said this was not a decision to lift the removal order. He warned that those included in the ICE blacklist will be sooner or later be deported and they should "do something to rescue themselves." Tung also said he would spend more time fighting for Vietnamese immigrants to be spared the risk of deportation. "Many people haven’t grasped the U.S. law and federal policies and have failed to protect themselves," he said. "I hope that those targeted for deportation will continue making greater efforts to fight for themselves and don’t wait until everything is too late."